His Highness the Aga Khan, spiritual leader to the world’s 15 million Ismaili Muslims, believes one of his hereditary responsibilities is to improve the lives of the world’s most disadvantaged people. For more than half a century, he has done exactly that — on a breathtaking scale. More than a half century ago, he founded the Aga Khan Development Network and then the Aga Khan Foundation, creating a global web of agencies in 30 countries employing some 80,000 people to develop the poorest regions of Africa and South Asia while working to preserve and celebrate Islamic culture. For five decades, the foundation has focused on those “human profits” — via work in rural development, health, education, civil society, and environmental initiatives to assist vulnerable populations, regardless of their ethnic or religious backgrounds. It has done everything from helping Pakistani communities recover from devastating floods to spearheading initiatives to improve education for Afghan girls, and from promoting civil society to battling hunger. The goal has never changed: to spark progress and development in poorer regions while presenting a less threatening face of Islam to the world. This year’s nine honorees include a young woman using rap music to fight a trauma in Afghanistan, a trailblazing CEO changing urban life in China, a Hollywood star building bridges between India and the world, and an environmentalist placing his life on the line to stop deforestation in his native country. 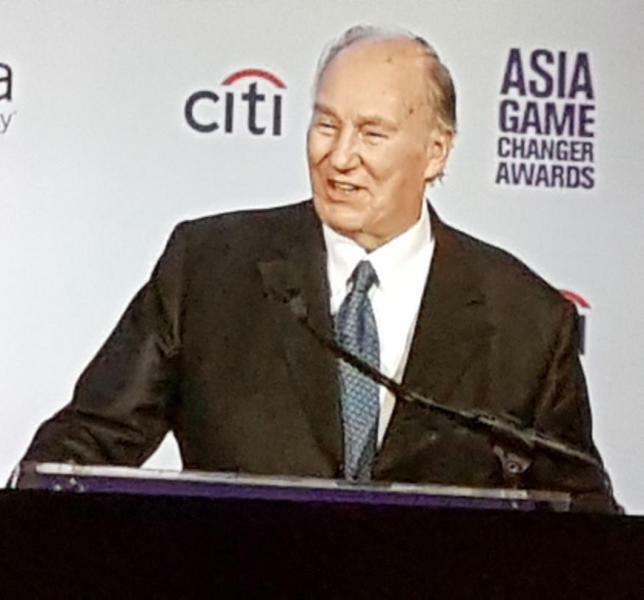 His Highness the Aga Khan, spiritual leader to the world’s 15 million Ismaili Muslims, will receive the Asia Game Changer Lifetime Achievement Award. Honorees are nominated and selected by members of Asia Society’s global network. Tables and individual tickets are now sold out. Thank you for your support! To inquire about being put on a waitlist, or to explore other ways to support the Asia Game Changer Awards, please email GameChangers@AsiaSociety.org or call 212-327-9335. This fall marks the fourth year of a truly impactful Asia Society event — the Asia Game Changer Awards and Gala Dinner at the United Nations. Asia Society will honor the dreamers and leaders of our world making a positive impact on the future of Asia. The Asia Game Changer Awards are designed to fill a vital gap, identifying and honoring true leaders making a positive contribution to the future of Asia. Each year, we honor individuals, organizations, or movements that have inspired, enlightened, and shown true leadership in areas that reflect Asia Society's core pillars of policy and business, arts and culture, and education. This year, we honor HIS HIGHNESS THE AGA KHAN — the philanthropist and spiritual leader to the world's 15 million Ismaili Muslims — with our 2017 Lifetime Achievement Award. Among the recipients of this year’s awards are: Sonita Alizadeh, for using rap music to empower the girls of Afghanistan; Dev Patel, for placing a spotlight on India’s poor; and Tadashi Yanai for building a global retail empire that gives back to local communities. Previous honorees include actor Aasif Mandvi, Alibaba CEO Jack Ma, and education activist Malala Yousafzai. “In a world of challenges, it is important to honour the dreamers and leaders, those who take action and those who inspire us to build a better world,” said Asia Society president Josette Sheeran. Founded in 1956, Asia Society is a nonpartisan, nonprofit institution with major centres in Asia, Australia, Europe, and North America. Working in the fields of art, business, culture, education, and policy, the society promotes collaboration to address present challenges and create a shared future. The.Ismaili will bring you more updates from the award ceremony. Follow us on social media (Facebook, Twitter, Instagram, Snapchat) and sign up for email updates to stay up to date. 1 November 2017: H.H. 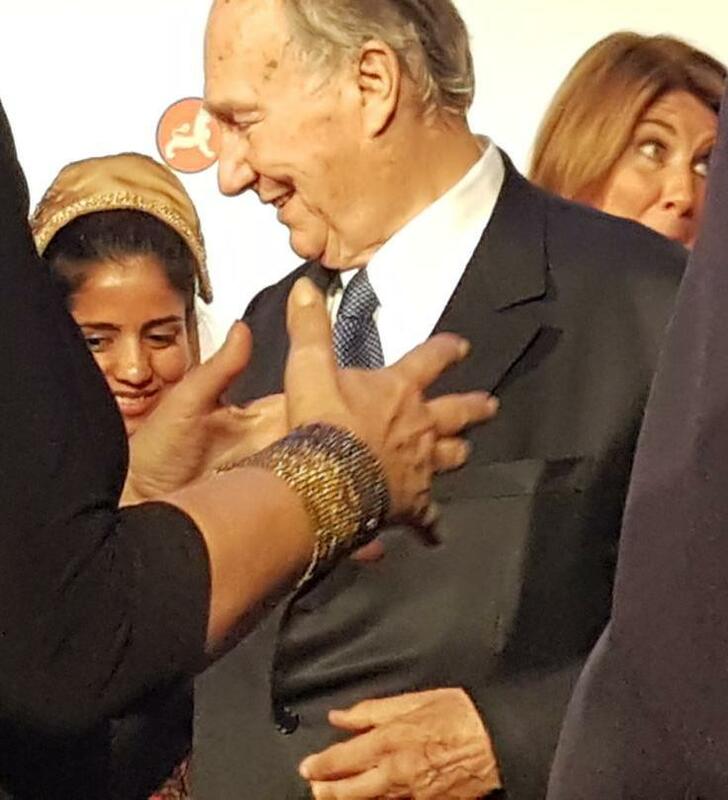 The Aga Khan arrived for the Diner at the Award Ceremony where he is to receive the Asia Game Changer Lifetime Achievement Award in New York. 2017, November 1st: New York, USA - H.H. The Aga khan was honoured with the Asia Game changer Lifetime Achievement Awards, at the Cipriani in New York at 7:00pm for using philanthropy to lift millions of Asia’s most vulnerable. Mowlana Hazar Imam was accompanied by his brother Prince Amyn. About 30 of his followers were waiting outside for his arrival. 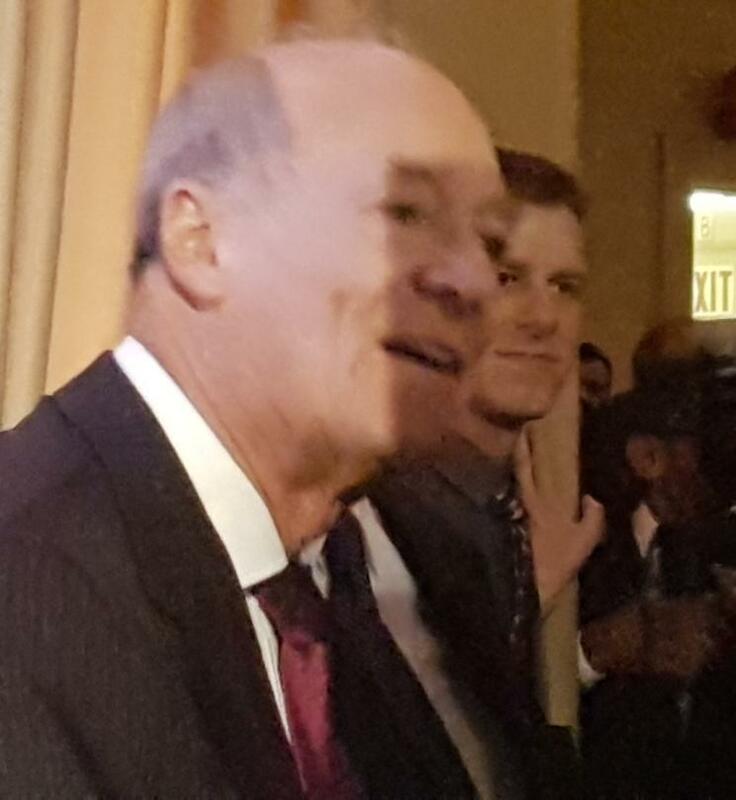 The Imam arrived with Prince Amyn, both of them waved at the Jamat outside before entering the Cipriani. When they come back, again the Imam waved to his Murids outside and from inside his car. 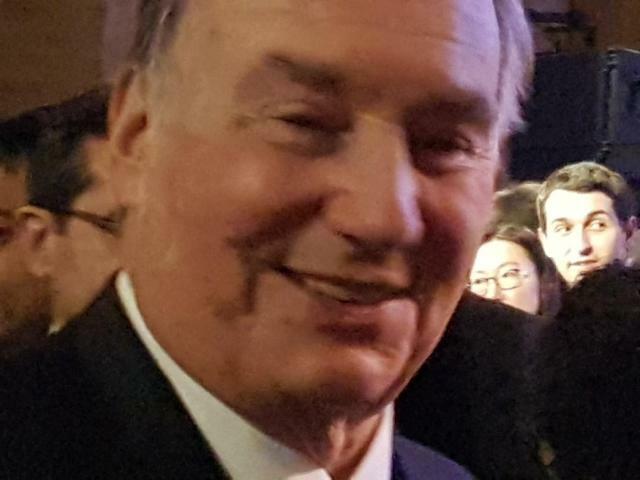 2017, November 1: Prince Amyn Aga Khan accompanied his brother H.H. The Aga Khan to the Dinner Gala Award Ceremony where the Imam was recognised for his Lifetime Achievement. 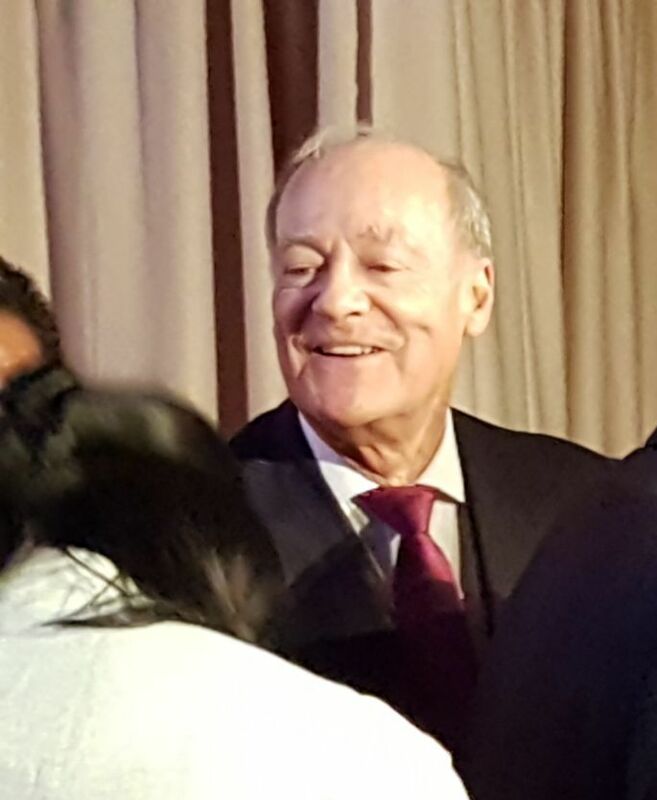 Here are few ismaili.net photos of Prince Amyn at the event. 2017, November 1st: New York, USA - H.H. 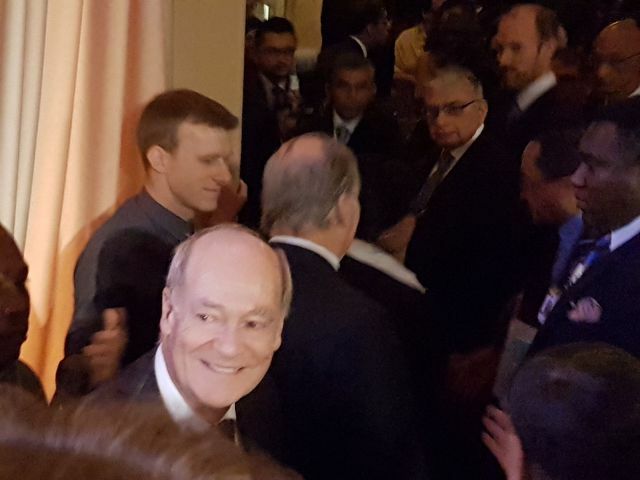 The Aga khan receives the Asia Game changer Lifetime Achievement Awards, at the Cipriani in New York - Look carefully, when arriving, H.H. The Aga Khan waves at his people standing on his right and then on his left side in the street, Prince Amyn, the Imam's brother does the same a moment later. The public instantly burst in joy! Isn't that sooo cute? 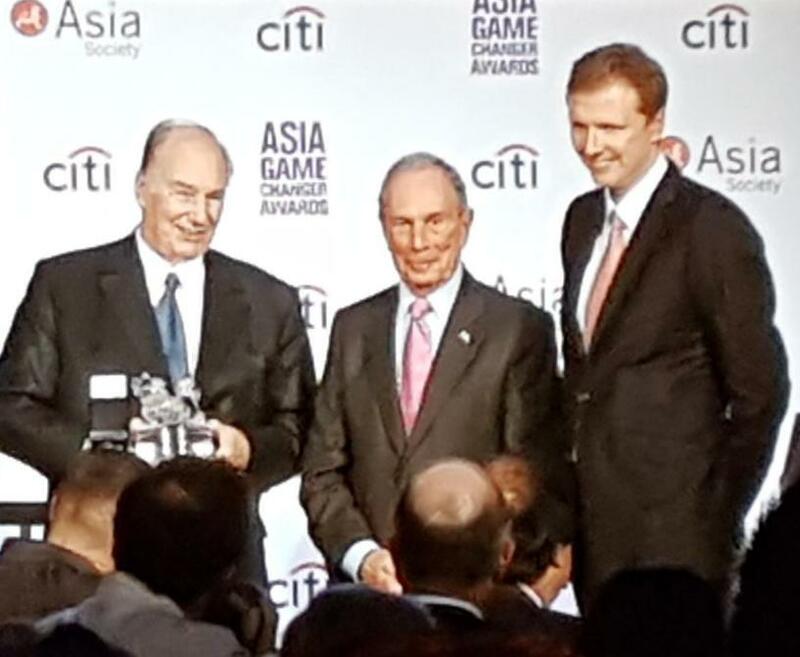 His Highness the Aga Khan has received the Asia Society’s Lifetime Achievement Award— the society’s most esteemed— at the organisation’s Game Changer Award ceremony in New York. The awards are presented annually to individuals, organisations, and movements that have inspired, enlightened, and shown true leadership in areas that reflect Asia Society’s core pillars of policy and business, arts and culture, and education. 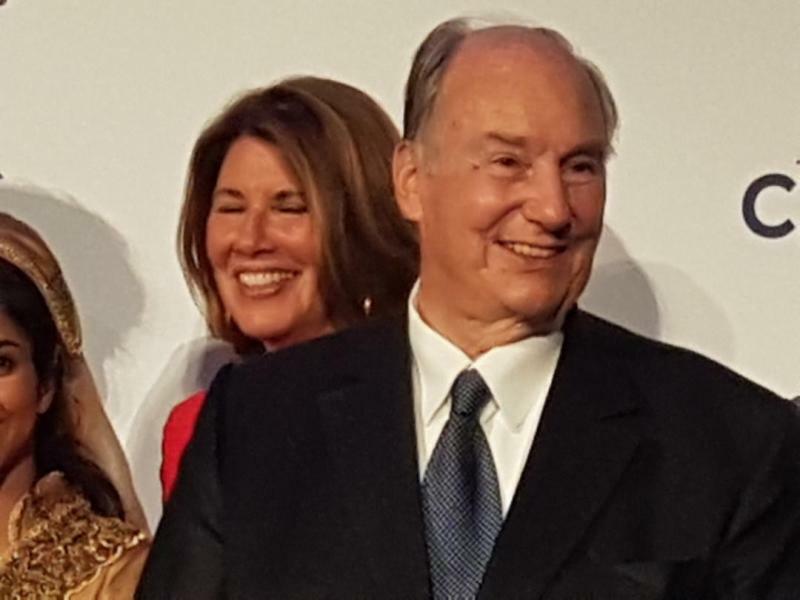 The Aga Khan was addressing a distinguished audience upon receiving the award that was presented to him by Sharon Rockefeller, President and CEO of WETA-TV and wife of former Senator John “Jay” Rockefeller, together with Michael Bloomberg, former Mayor of New York City. It represents the fourth major honour bestowed on the Aga Khan in New York City this year, which also marks his Diamond Jubilee as Imam (spiritual leader) of the Shia Ismaili Muslim community. Earlier this year, he was awarded the Foreign Policy Association Medal, and received the Architectural League of New York’s President’s Medal, and the United Nations Foundation’s Champion for Global Change Award. “Through the Aga Khan’s network and his role as a spiritual leader, he has worked for decades to help build a more peaceful and tolerant world,” said Bloomberg. 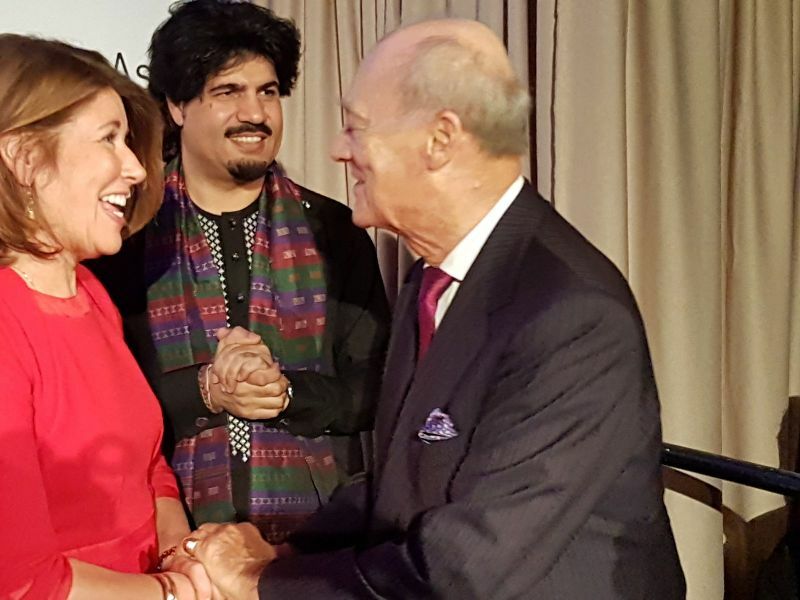 New York City, USA - His Highness the Aga Khan received the Asia Society’s Lifetime Achievement Award - the Society’s most esteemed - at the organisation’s Game Changer Award ceremony in New York. The awards are presented annually to individuals, organiz-ations, and movements, that have inspired, enlightened, and shown true leadership in areas that reflect Asia Society’s core pillars of policy and business, arts and culture, and education. Accepting the award “for improving the lives of millions in Asia and around the world,” through the initiatives of the Aga Khan Development Network (AKDN), the Aga Khan, accompanied by his brother Prince Amyn Aga Khan, said, “Any leader of any global community hopes and prays for one thing – peace; peace in every community, in every country of the world, so that men and women can live in safety, build their futures with strength, courage, hope and wisdom. 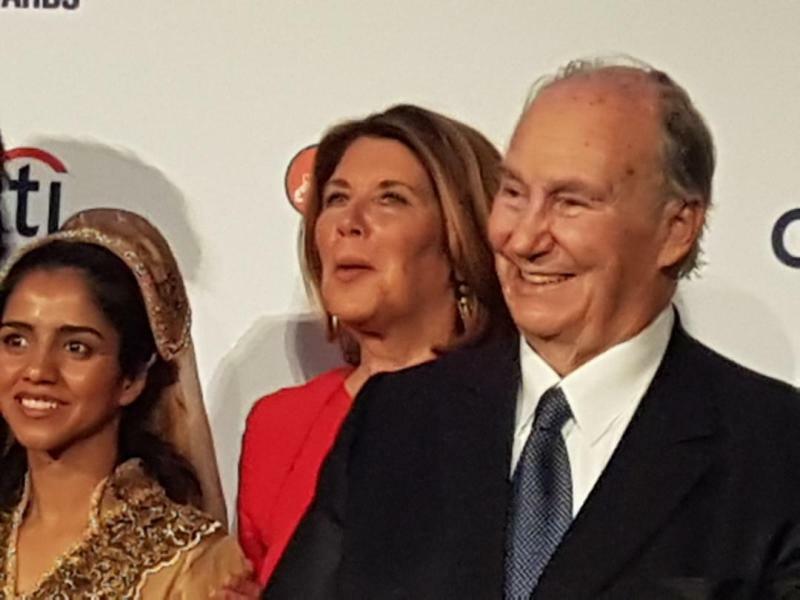 The Aga Khan was addres-sing a distinguished audience upon receiving the award which was presented to him by Sharon Rockefeller, President and CEO of WETA-TV and wife of former Senator John “Jay” Rockefeller, together with Michael Bloomberg, former Mayor of New York City. It represents the fourth major honor bestowed on the Aga Khan in New York City this year, which also marks his Diamond Jubilee as Imam (spiritual leader) of the Shia Ismaili Muslim community. “He has brought important attention to areas and issues that need it most, including prote-cting vulnerable communities from climate change, and helping young people develop new skills that can help them succeed. Asia Society’s President Josette Sheeran also paid tribute to the Aga Khan, recognizing the role of the AKDN and its efforts in Afghanistan and Tajikistan. “We know the power of your work; I know the power of your network; I know what you have built. “And we need more networks of people determined to say this is a world of good, this is a world of standing by each other, and this is what we honor here tonight,” she said. In addition to the Aga Khan, eight other honorees were selected by the Asia Society’s global network this year, for making a transformative and positive difference for the future of Asia and the world. Honorees included: Sesame Street, for proving learning can be fun anywhere in the world; actor Dev Patel for shining a spotlight on India’s poor; Sonita Alizadeh, for using rap music to fight trauma in Afghanistan; Leng Ouch, for risking his life to draw attention to illegal logging in Cambodia; Jean Liu, for revolutionizing transportation in China; Grammy winner Wu Tong, for showing that musical virtuosity has no bounds; Tadashi Yanai, for building a global retail empire that gives back to local communities; and famed eagle huntress, Aisholpan Nurgaiv, for breaking gender barriers at a remarkably young age. Showcasing the music heritage of Asia at the event, were artists of the Aga Khan Music Initiative Ensemble: Homayoun Sakhi, Salar Nader and Wu Man, master musicians who create new music inspired by their own deep cultural roots.